There are now only two months to go until the Easter holidays start, so you might want to start planning your trips now to stay ahead of the curve. One destination we think you should consider is Oostende (or Ostend) in Belgium. Located on Belgium’s North coast, Ostend combines the vibe of a larger European city with the ease of access and transport of a smaller coastal town. To get around the city, you can do what most Europeans do and get on a bike. There are plenty of rental options available, and a ride along the promenade will do wonders for your appetite, which can then be sated in one of the brasseries further towards the city centre. Seafood dishes such as fish soup or shrimp croquettes are especially recommended. Speaking of fish: the local fish market called Vistrap, taking place on the Visserskaai, is worth a wander for locally sourced, excellent ware and the hustle and bustle of vendors. Your bike trips might also take you out of the city limits and into the surrounding area, which is permeated by little creeks and canals, as well as, in case of the Wijnendale route, the odd castle. If you want to take in some culture while you’re in Ostend, you can check out the Beaufort04 exhibition, which showcases new contemporary art from all over Europe. It’s on from 31st March until 30th September 2012. To get to Ostend, you can get a P&O ferry to Zeebrugge then take a scenic 15 mile drive down the coast. With brighter weather on the way, an outing to Versailles will make for a tranquil daytrip, filled with aesthetic wonderment and a rich appreciation of French culture and history. 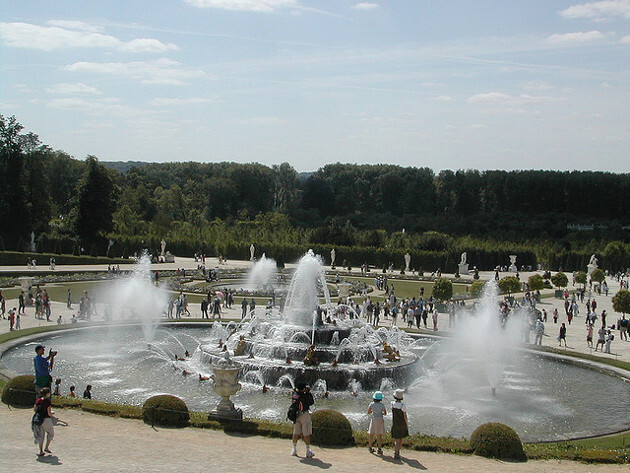 Starting early this April and running through to October, the Musical Fountains Show will show the Gardens of Versailles in all their splendour. The fountains are coordinated to fire jets of water in rhythm with music to be played in the gardens from 11AM to 3:30PM on weekends. A real pleasure to witness, it brings an atmosphere of magnificence to invigorate the spirit. To make the most of Versailles, you can organise a tour or pick up a map and work your way through one of the most distinguished locations in France. The symbolic value of the Versailles may not hold well with the Republic’s ideals but it cannot be denied – absolute monarchs know how to get a decent palace built. The Chateau de Versailles is considered one of the finest architectural achievements of 17th century France and stands as a tribute to the French monarchy. Each generation of the royal lineage added flamboyant extensions to the palace as a lasting imprint of their affluence. If you tire of ambling and admiring, the chance to get some shopping done is available as well. Place du Marche is fairly central and you can pick up food for a picnic or do some antiquing there too. The Gardens of Versailles also have their own arboretum. Today it holds around 15,000 specimens, if you make donation whilst there it’ll go to a good cause preserving rare and endangered species of plants. Amsterdam will once again be the first city to host the annual World Press Photo exhibition, this time from April onwards. Should you need another reason to visit the Dutch capital this spring, this is it – especially if you have any interest at all in photography. 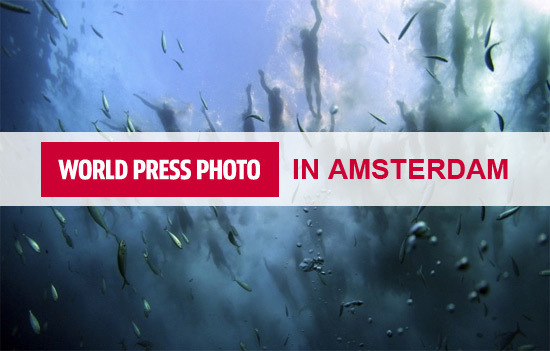 World Press Photo, a not-for-profit organisation founded in Amsterdam, every year awards the much-coveted World Press Photo of the Year prize. The photographs submitted offer incredible (and often shocking) snapshots of events, incidents and developments of any given year and serve as a hugely important document of humanity. You can be one of the very first people to see the photographs entered into this year’s competition, at Amsterdam’s magnificent Oude Kerk church. There are a number of different categories, including Sports Features and Portraits. The World Press Photo exhibition will run from 20th April until 17th June, after which it will travel around the world. You can view some of the photographs here. If you’re planning to go to the Netherlands and want to take in this extraordinary photo exhibition, you can take a P&O Ferry to Rotterdam, from where it is only a short drive to Amsterdam. You might be forgiven for thinking that all film festivals are star-studded affairs where the actual films are distractions from the gala dinners and red carpet receptions. But you’d be wrong – as the Brussels International Festival of Fantastic Film proves. Now in its 30th year, this year’s bash once again brings together the leftfield, the scary, the weird and the downright freaky for what promises to be a bit of film buff heaven. 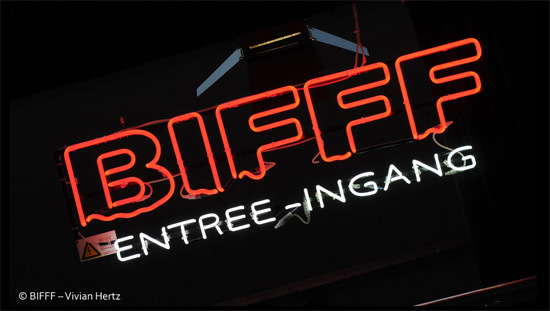 Taking place at the splendid urban super-venue Tour & Taxis from April 5th until April 17th, the Brussels International Festival of Fantastic Film (or BIFFF) will see more than 150 films being screened. The programme has been kept under wraps so far, but the BIFFF usually focuses on fantasy, sci-fi and horror films from around the world. There will again be a number of unusual workshops and presentations for the more than 50,000 film fans to take part in, including a body painting contest, to which everyone can apply online. To keep up to date with new programme additions and ticket info, go to the official website. P&O Ferries can help you on your way to a few days of fantastic films in Brussels. A return ferry from Hull to the Belgian port in Zeebrugge, a four-person group of film fans and a car will cost less than £100 per head. No question about it – times are tough. Especially for those who love a good tipple. With alcohol consumption being curbed by the government and warnings that this summer may see a drought even more extreme than the one in 1976, you’re only really left with one option – the ole booze run. It’s a time-honoured pilgrimage for many a UK citizen, and P&O Ferries can get you across the channel and back in no time. 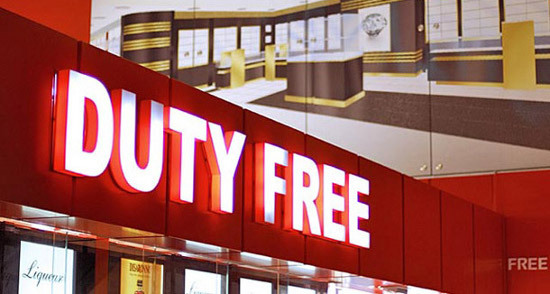 If things start getting a bit too dry later in the year you’ll see more water than you can shake a stick at during the ferry crossing, and you can stock up on the necessities of life – duty free, of course. You can make a nice daytrip out of it too – do something a bit different to entertain the kids. Lorry drivers may have an opposing opinion, but it’s still quite exciting popping over to another country, even if it is just for a day. The goods you can carry across the border without paying a duty are quite easy to remember. We strongly advise you keep your receipts, because customs may ask to see them so do not stick your chewing gum in them. You might also be entitled to a refund for the taxes paid in France as. For a little guide on what and how much of it you can bring back to Blighty, see below. You can split your allowance – for instance, taking home 100 cigarettes and 50 cigarillos is fine. Medicine can only be carried in relation to the user’s needs and prescription proof is required. If you exceed these limits, chances are you’ll have atrough time trying to leave France. You’re also allowed to take a pet with you if you just can’t bring yourself to leave the little bugger at home. You’ll need to have proof that your pet is vaccinated and has a tattoo or microchip identification – a collar will not be enough. You’ll also require veterinary certification of your pet’s health 10 days prior to your arrival in France. Finally, your cat or dog has to be at least 3 months old or you’ll need to bring its parent along with it – just to make sure he/she doesn’t misbehave. Rouen is one of the most interesting and diverse cities in the North of France. Birthplace of, among others, the author Gustave Flaubert (Madame Bovary) and the footballer David Trezeguet, it is probably most famous for its historical riches and cathedrals. Located only two and a half hours’ drive from Calais, Rouen is a great first stop on any trip to mainland France. 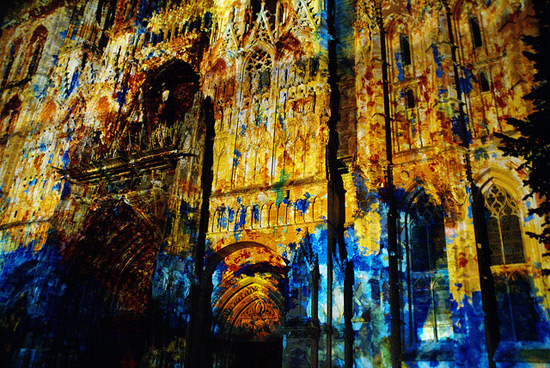 One must-see in Rouen is the Cathedrale Notre-Dame (not to be confused with the one in Paris). Its stained glass windows and high ceilings have been drawing thousands of tourists for decades (it also inspired the painter Monet and the pop artist Roy Lichtenstein), and once you approach this hugely impressive Gothic monument, you’ll know why. The Eglise Jeanne d’Arc, named after the Catholic saint who was burnt at the stake there by the English, is a similarly unmissable landmark, although with a very different atmosphere and architecture. Modern and subdued in its layout, the interior of this church is brightened up by the gorgeous stained glass windows and provides a good spot to rest and contemplate. There are plenty of great places to eat in Rouen, too. Among the top recommendations is the Minute & Mijote bistro, located near the old market place. The food is simple but of the highest quality – the lamb and cabbage is fantastic, as is the fresh bread. Gill, a restaurant near the riverside, is more expensive (around £80 for a meal for two), but offers very distinguished cuisine with great wines. Try the foie gras only if you’re fine with being disappointed by every other variety of the dish you’ll have afterwards! Rouen is a great way to kick off your P&O Ferries trip to France, and is especially worthwhile in the spring, so get booking now – a week-long trip for two adults, two children and a car in early April can cost you as little as £84. Picturesque town alleys and buildings, and more cheese than you’ll ever be able to eat – welcome to Alkmaar in Holland. From April 6th onwards, Alkmaar will be home to the world famous cheesemarket, which attracts thousands of visitors every year. The Waagplein square has been the centre of attention for cheese traders ever since 1593, and, for the last ten years or so, has developed into a huge tourist attraction. The opening involves the putting up of the cheeses (around 30,000 kilos) at 7am, and the traditional ringing of the bell at 10am. From then on, there’s no stopping the buzz – traders start inspecting and sampling the cheese to look for texture, aroma and moisture, and then the bargaining begins. Once a deal has been agreed, the cheese is taken to the Waag, where an external weighing master and a public servant ensure that the correct amount of cheese is handed over to the buyer (cheese is serious business in Alkmaar, in case you hadn’t noticed!). 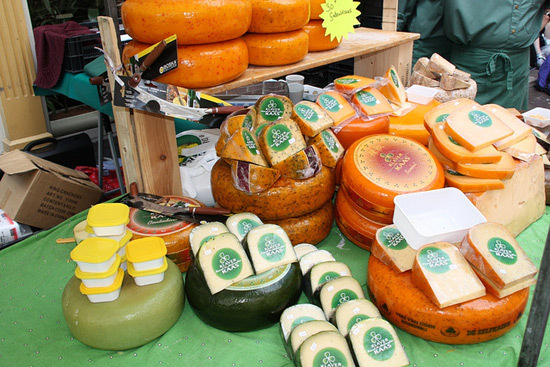 The market will be open to the general public to browse and do some shopping of their own, and you’d be well advised to take home some samples of Gouda and Ementhal – the Dutch do know their cheese! Apart from browsing the cheese market, you can take canal tours through the city, explore the ‘De Boom’ beer museum or check out the city’s various restaurants and bars. For local info on parking, and travelling to the Alkmaar cheese market, have a look at the official website. Alkmaar is only an hour’s drive away from the Dutch P&O Ferries port in Rotterdam. A trip on April 5th with a return date on April 10th for two adults and two children would only cost you £330. If you’re not a big fan of Valentine’s Day ‘celebrations’ but would still like to do something romantic this spring, why not leave the beaten track and head to mainland Europe for some leftfield, love-themed entertainment? 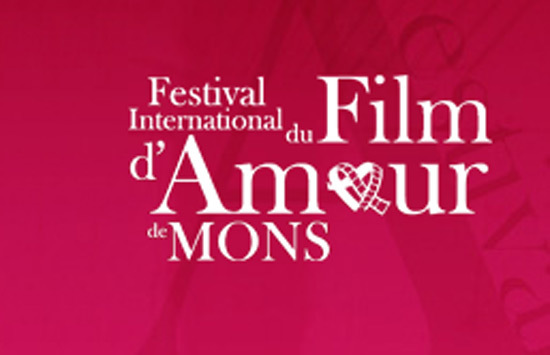 The 28th Festival International du Film D’Amour (or International Love Film Festival, although it sounds so much more romantic in French) takes place in the Belgian city of Mons from February 24th until March 2nd. The festival’s theme isn’t schmaltzy tearjerkers where everything ends in marriage vows and the couple buying a seaside house, but love with all its highs and pitfalls. The films on show are not the standard Hollywood fare, but very often works of art that you’ll be hard pressed to find in your local Blockbuster branch. The International Love Film Festival will take place at two screening rooms, while there will be evening events, exhibitions and workshops at the ‘cinema village’ in the Lotto Mons Expo centre. Among the films to be shown is the keenly awaited directorial debut from Angelina Jolie, called In the Land of Blood & Honey. An uncompromising, surprisingly naturalistic film, it deals with the plight of ordinary people swept up in the Bosnian war. There will also be a focus on Scandinavian cinema, with ten films from Denmark, Finland, Norway and Sweden part of the programme. This includes the Swedish production Apflickorna (French title: Voltiges), which ran as part of last year’s London Film Festival under its English title She Monkeys. This film deals with the sexual coming of a 15-year old girl called Emma (played by newcomer Mathilda Paradeiser), who becomes involved in an intense rivalry with another girl in her volting class. This festival would be a great substitute for the usual Valentine’s Day fare of a bunch of flowers and a generic card – you can also explore the cosy charm of Mons itself, which boasts a couple of lovely side streets where you can grab a drink. For more information about the International Love Film Festival, check out the official website. 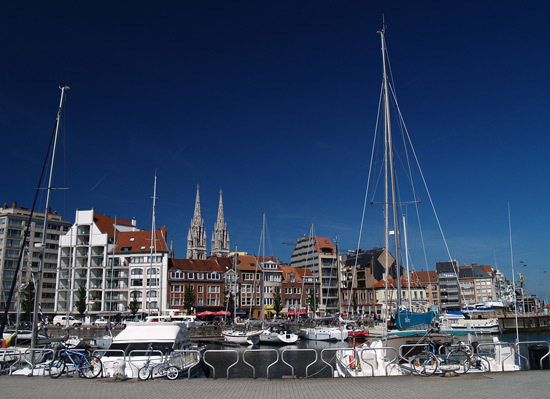 Mons, the location of the International Love Film Festival, lies near the French border and is only an hour and a half’s drive away from P&O Ferries’ Belgian port in Zeebrugge.